Hello, Jeevan, your Indian Pond Heron is a cool bird. 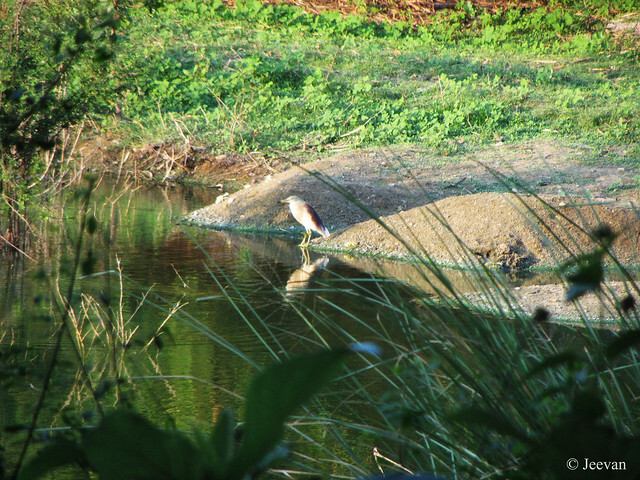 It looks similar to our night herons. Wonderful sighting and photos. Thank you for linking up and sharing your post. Have a happy weekend! I love these birds and the reflections are great. I hope you have a wonderful weekend. This is special visual treat from the sub-continent. Very cool bird. Thanks for sharing your lovely snaps, Jeevan! Beautiful pictures, Jeevan! I saw these birds in Vedanthaangal. 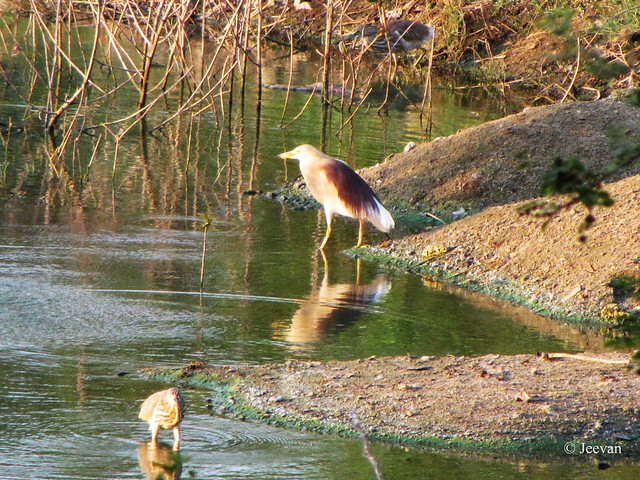 Yes, they seem to road very close to the ponds! 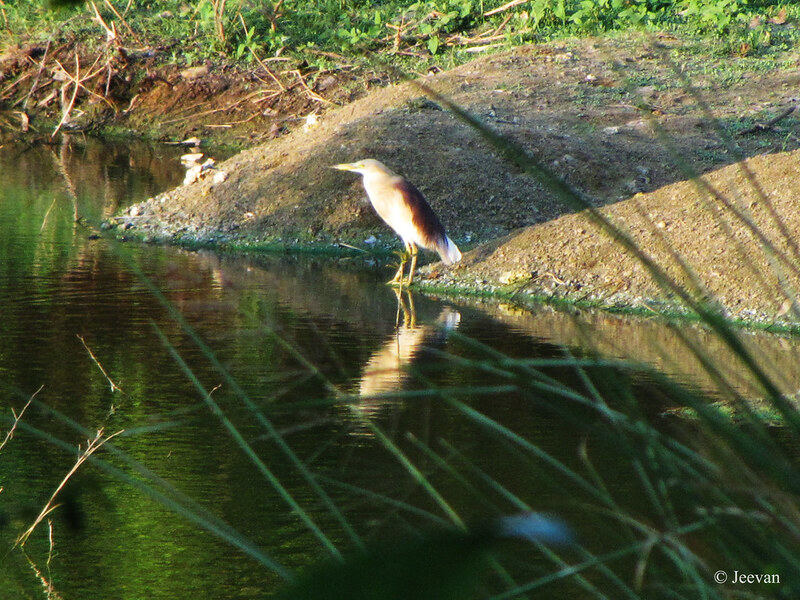 Wonderful shots of the pond heron. Nice. I almost missed the reflection, but once you mentioned, I went back and saw that the reflection was present in all photos. You were so lucky to snap nice shots of these birds. They must have patiently posed for you to share with us!! I love to see those birds photos taken in your area. Nice!